The PH 4½-3½ glass table lamp was designed out of the principle of the intelligent three-shade system. The designer Poul Henningsen has devoted his time to researching light reflections and the effects of lighting. To create lights that cast soft shadows and create a diffuse lighting mood, was the main driving force and the preferred area of ​​interest in his work. With the PH series, he developed a whole system from which, over the years, a variety of different light variations took place. The first luminaires of this series were already exhibited at an exhibition in Paris in the years 1925-26 and found an appreciative appeal there. Even today the lighting manufacturer Louis Poulsen benefits from the creative output during Henningsen's lifetime. 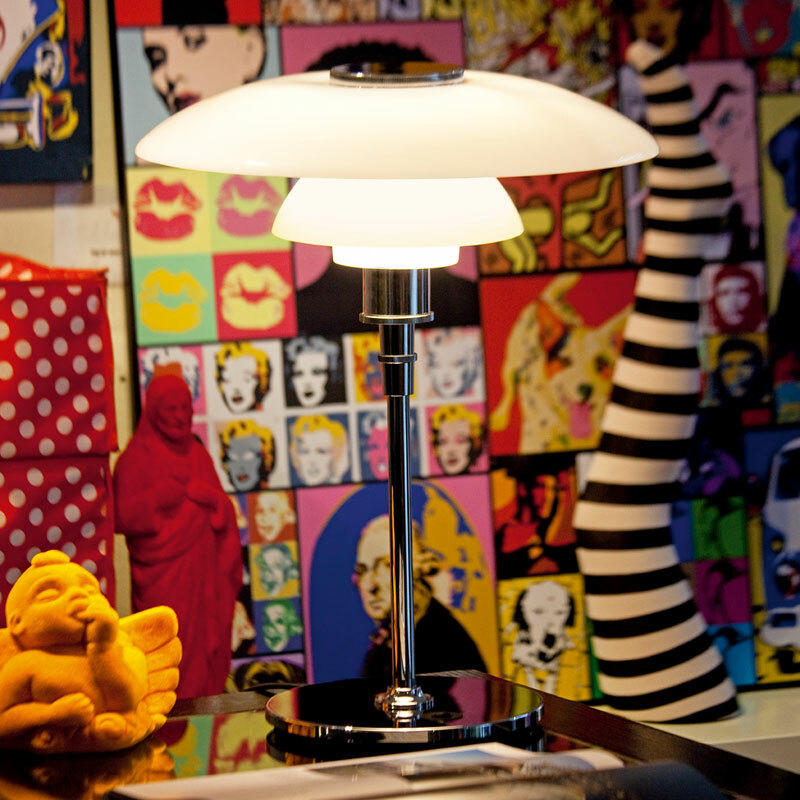 The shades of the table lamp are made of three-layer, hand-blown glass. On the outside they are shiny and sandblasted on the inside. The matt surface structure ensures a pleasantly even distribution of the lighting. The majority is delivered downwards, but also a small part of the lighting radiates through the transparent glass into the room. With the PH 4½-3½ glass table lamp you get a significant milestone in the design history of the last century and prove a safer hand for stylish classics.